Whether you're growing plants or raking leaves, spending time with your children in the garden is one of life's simple pleasures. So, why not do all you can to show them gardening really can be child's play. Mucking about in the garden is even more fun when you have your own things to play with. 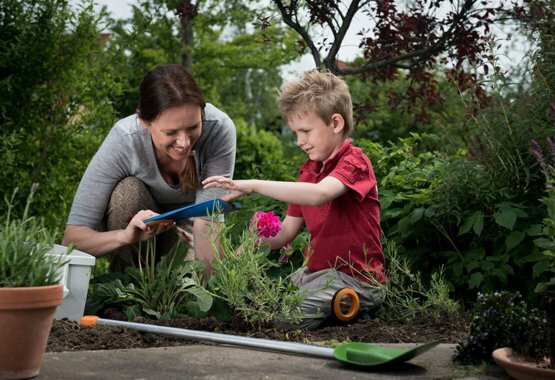 MyFirst Fiskars selection of tools has been specially created with very young kids in mind. The selection ranges from spades, perfect for building sand castles with, to stick tools that let children garden just like their parents.